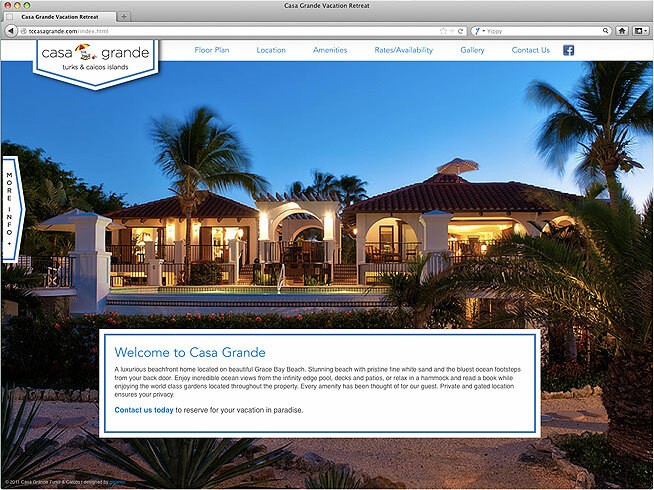 International Property Holdings required a website for one of its marquee vacation properties the expressed the luxury and grandeur and the Casa Grande has to offer. Letting the property itself do the heavy lifting, the website was designed to be as unobtrusive as possible while still giving vital information. Image intensive with sublte graphic design, the site conveys the relaxing wonder of the property.